The northwest submarket has been transformed. If “money talks,” then real estate makes the world go ’round. Much more than a simple business deal, real estate transactions transform communities and create our collective vision of “place.” This vision changes over time in response to advancing technologies, economic factors and market dynamics. There is no better example of this phenomenon than at Interlocken, the award-winning, 963-acre advanced technology business park located in the heart of the hightech U.S. 36 creative corridor. Starting with little more than open fields and a dream, Interlocken Advanced Technology Environment has matured into a vibrant business community that has transformed the northwest submarket and the Denver/ Boulder corridor, as well as spurred additional major developments within the market. The NW submarket has a history of volatility. Recording a 50 percent vacancy rate in 2001, leasing activity in the NW submarket has dramatically increased in subsequent years. Since 2015, vacancy in the NW submarket has declined significantly, dropping to just 12.7 percent as of third quarter 2017. This rate is well below the overall office market rate of 15.1 percent as well as that of other core submarkets. In comparison, vacancy in Denver’s downtown submarket was 15.3 percent for the same time-period, and the dynamic southeast suburban submarket vacancy was 16.1 percent. 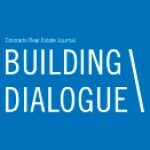 Value opportunities within the NW market – which tend to be more dramatic than in many other core submarkets due to lower asking rents and land values – are consistently snatched up by companies looking to enter the Denver market, as well as area corporations wanting access to an educated, young and motivated working pool, economic incentives, and options for expansion. This continuing drop in vacancy encourages additional new development opportunities within the NW submarket, and particularly in the Denver/Boulder corridor, where Interlocken is situated. 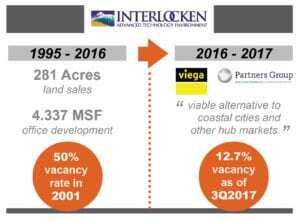 After the development of 281 acres of land sales and 4.337 million square feet of office space during the last two decades, there was an obvious swing toward national and international tenant attraction at Interlocken. Two recent announcements highlight Interlocken’s appeal to international companies looking to solidify their presence in the U.S.: German plumbing supply company Viega’s campus at 575 Interlocken on approximately 12 acres, and Partners Group’s new headquarters on 25 acres at 1200 Eldorado Blvd. It is significant that now, Denver’s NW market is viewed as a viable alternative to coastal cities and other hub markets. 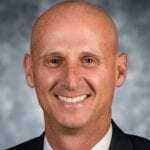 Partners Group, for example, is downsizing or closing other U.S. locations as it moves to the Denver area. 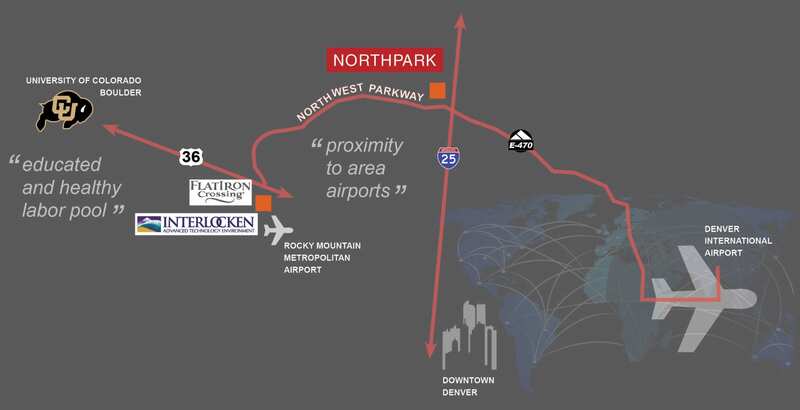 Both companies cited Interlocken’s proximity to area airports (Denver International Airport as well as Rocky Mountain Metropolitan Airport), and nearby amenities like the Omni Interlocken Resort and conference center as major draws. Additionally, numerous fine dining options, the FlatIron Crossing super regional mall, access to an educated and healthy labor pool and outstanding lifestyle draw were prime incentives to choose Interlocken for the next phase for their respective companies. These positive attributes have also attracted leading-edge companies and major employers to the advanced technology park – drawing from both Colorado as well as across the nation. Volatility in the NW market has eased. Interlocken’s maturation reflects the growth of the NW market and the city of Broomfield, with its early days closely mirrored in the nascent development of McWhinney’s North Park. Located at Interstate 25 and Northwest Parkway in Broomfield, the 1,100-acre North Park development will include office and medical office product, along with residential, retail and hospitality uses to create “an urban heart of North Denver that will set the standard for environmental stewardship, innovation and healthy living.” North Park’s innovative design, focused on incorporating a balance of urban connectivity, natural open space, and plenty of amenities for a mix of urban and healthy living is expected to attract corporate users, residents and research-and-development uses. Already, the project has secured two vital tenants: the Butterfly Pavilion’s new $30 million facility, which will be the cornerstone for North Park’s Research & Science Park, and JP Morgan Chase’s planned 150,000-square-foot, $220 million operations center. FlatIron Crossing is the NW market’s super regional mall, offering 1.431 million square feet of prime retail space located on Highway 36 in Broomfield. Owned by Macerich, one of the top retail real estate companies in the Unites States, FlatIron Crossing was designed to reflect the active, outdoor lifestyle Colorado affords and includes the two-level enclosed mall as well as an adjoining outdoor entertainment village. Tenants with flex space requirements and creative office uses are beginning to gather to these formerly traditional retail neighborhoods, in order to partake of a truly walkable environment with abundant parking and proximity to transportation and residential communities. This trend will only increase in the near future as owners of retail real estate look to energize their product. As the northwest market has matured, tenants in this advanced technology environment crave the walkability and hospitality focus of traditional retail settings. As a result, a more strategic development approach to building communities is trending, with multiple uses built synergistically (office, retail and residential together instead of in waves), as well as focus on collaborative, conference and hospitality spaces as traditional work environments evolve. Published in the December 2017 issue of Building Dialogue.